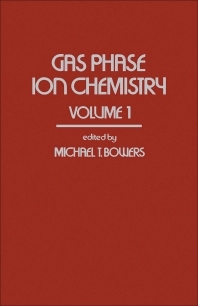 Gas Phase Ion Chemistry, Volume 1 covers papers on the advances of gas phase ion chemistry. The book discusses the advances in flow tubes and the measurement of ion-molecule rate coefficients and product distributions; the ion chemistry of the earth's atmosphere; and the classical ion-molecule collision theory. The text also describes statistical methods in reaction dynamics; the state selection by photoion-photoelectron coincidence; and the effects of temperature and pressure in the kinetics of ion-molecule reactions. The energy distribution in the unimolecular decomposition of ions, as well as the rapidity of ion-molecule reactions are also encompassed. Chemists, physicists, and people working in aeronomy laboratory and involved in space research will find the book invaluable.